We have had peking duck in various different restaurants in Dubai. So last night, G and I were invited to try out the Peking Duck Evenings at Hong Loong. Honestly, I was somewhat sceptical prior to the night. I mean – really, how can you possibly enjoy a whole night of eating just, peking duck? The feast itself, was to be honest, way too much for two. Well, two chinese, at least 😀 It was, however, very very tasty. We started off with the double boiled hot & sour duck soup, with soft tofu, wonton dumpling, chinese fungus and chinese baby cabbage. So appetising. Soon after came, what they call, the ‘mains’. In chinese tradition, there isn’t really a ‘main dish’. You just bring everything out, and share it all with the family in one go. That’s the way we did it, and boy were we absolutely stuffed afterwards. We were surprised how they came up with a variety of dishes to cook with duck meat. They were all good, though my personal favourite was the stewed duck breast in claypot. No meal is complete without good dessert at the end. With the Peking Duck Feast comes green apple jelly with lychee inside, and crispy custard dumpling to the side. Happy to have found another restaurant that does good chinese food. Not so surprising to have found out that he was the chef behind Shanghai Chic though 😉 I highly highly recommend, if you feel like some chinese, to give Hong Loong a shot. For 460AED for two, it is on the pricey side but if you want to splurge a little for something different, give it a shot. If you don’t want to do that, they’re in the Entertainer Fine Dining for 2 for 1s, so you can sample their ala carte menu to see if it suits your taste. 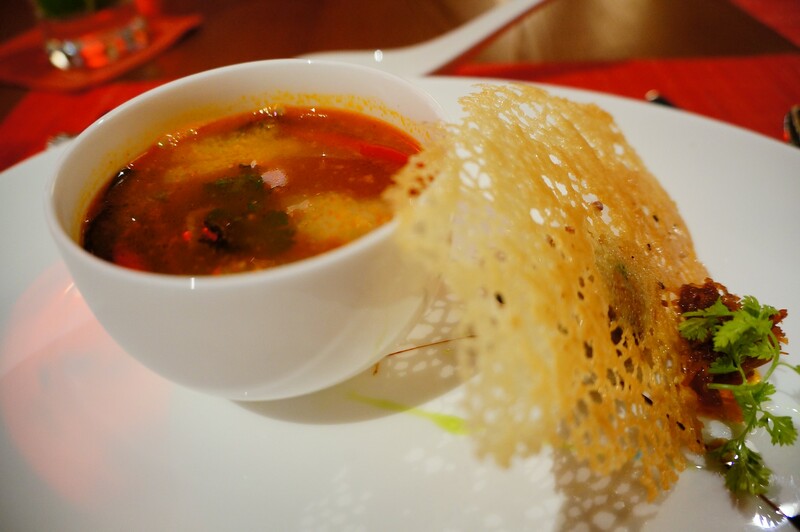 Disclaimer : We were guests of Sofitel The Palm to review the Peking Duck Evenings in Hong Loong. All thoughts are our own, though it is entirely up to you to judge.